Inmaculada J. Martínez is Assistant Professor of Advertising at the School of Communication and Information Studies, University of Murcia (Spain), where she teaches Advertising System and Advertising Theory. She is founding member of the e-Com (Research Group on Communication, Culture and Technology). Mobile Communications and Mobile Marketing/Advertising: How mobile devices and mobile contents are re-structuring the advertising and communication ecosystem. Advertising Structures and cross-media communication strategies: The transformation of a conventional media centered advertising system into a digital non-conventional media multi-centered advertising ecosystem. Digital communication and branding strategies: How digital environment opens new possibilities for brand awareness, brand experience and brand communication..
e-Merchandising and CRM as current keystones in reconfiguring communication strategies. Gender, technologies and advertising: How institutional discourses and technology appropriation contribute to shape new forms of gender stereotypes. Inmaculada J. Martínez (Murcia, 1970) finished her Master of Arts in Advertising Studies at the Complutense University of Madrid (Spain) in 1993. In 1994 she finished an MBA at the Know How Business School and started her Doctoral Studies at the same University, in the Department of Marketing and Advertising. This same year (1994) she began giving lectures at the European University of Madrid, teaching Marketing and Advertising in the School of Communication Studies until 2000, when she returned to her home-region, Murcia. During these years she also lectured marketing related subjects at the ESERP School in Madrid and closely co-operated with the Instituto de Empresa Business School. In 1998 she participated in a IE Master Program in Salvador de Bahía (Brazil). She obtained with honours her PhD in Marketing and Advertising at the University Complutense of Madrid in 1999. In 1999 Inmaculada simultaneously lectures in the European University of Madrid and in St. Anthony Catholic University in Murcia. Though part-time weekly, this involved she returned (after 14 years in Madrid) to the city and region of Spain where she was born and grew up. In 2000 she enters the State University of Murcia as Full Time Lecturer at the Department of Marketing and Research. and definitely returns to Murcia. In 2002 the State University of Murcia commits to launch Communication Studies. Inmaculada is called to support the implantation of the new studies. She gains a position as Assistant Professor in Advertising, as part of the new School of Communication and Information Studies, where she teaches Advertising Theory, Public Relations Strategies and Advertising System . Since 2002 she has coomitted for the development of Advertising Studies in the University of Murcia, coordinating relations with enterprises and students' internships. In 2008-2009 she actively participates in the design of the new programs for the Graduate Courses under the European Higher Education Space (Bolonia Treaty). In 2010 she is named Head of the Graduate Program in Advertising. Inmaculada is also involved in the development of Faculty's Master Courses and Doctoral Program, participating with lectures on new trends in advertising and communication. She has also collaborated with postgraduate programs in Elche, Lisbon, Zaragoza and Madrid. Since 2012, she is Deputy Dean for International Relations and Excellence, taking part in the development of the new studies at the School of Communication and Information Studies and supervising the quality system implemented according to the AUDIT project supported by the Spanish Ministry of Education. Since 2004 Inmaculada Martínez is member of the Research Committee on Sociology of Culture and Communication (RC14) at the International Association of Sociology (ISA). She is also member of the Point of Purchase Association (POPAI) since 2003, and of Asociación Española de Investigadores en Comunicación (AE.IC) since its founding in 2008. In 1998-2000 she actively engaged in marketing consulting at Plus Investigación (Madrid) and cooperated in several training courses with the Instituto de Empresa de Madrid (IE). With Juan MIguel Aguado, she founds in 2002 the e-Com, the Research Group on Communication, Culture and Technology, devoted to the improvement of the research on social and cultural aspects of media and communication. In 2006 the e-Com obtains Regional Government support for a three year research project on the social impact of mobile devices, pioneering the study of the mobile environment from the cultural industries perspective in the Spanish Academy. The project involves the co-operation of New South Wales University Professor, Gerard Goggin. In 2006-2010 Inmaculada co-ordinates a nation-wide four year research project on Women and Mobile Communications in the Information Society, supported by the Spanish Ministry of Social Affairs. She is also an active member, during 2009-2012, of a nation-wide research project on Media and Gender Violence, supported by the Spanish Ministry of Science and Innovation. During 2010-2013 she is also part of the research team involved in a project on on the evolution of mobile content ecosystem, supported by the same Ministry and involving five universities in Spain, that developes the findings from the 2006 research project on social impact of mobile communications. In 2014 she obtains a R+D research grant from the Spanish Ministry on Economy and Competitiveness for a 4 year research project entitled "Mobile Media & Personal Data: Impact in Media Studies, Advertising System and Users' Behavior", in co-operation with James Katz (Boston University) and Gerard Goggin (University of Sydney). Beside this, Inmaculada has participated as member and/or chair of the organizing committe in several international conferences and workshops (International Association for the Development of the information Society, 2006; Mobile Content in the Information Society, 2007, Online Conference on Cybersociety, 2004 and 2006, etc.). She also acts as reviewer for relevant journals like Information Research (SCCI), Global Media Journal and Comunicacion y Sociedad (SCCI). She actively co-operates with other research initiatives like the Research Group on Consumer Behaviour (Elche, Spain) and the UNESCO Chair on Information Management (since 2002). 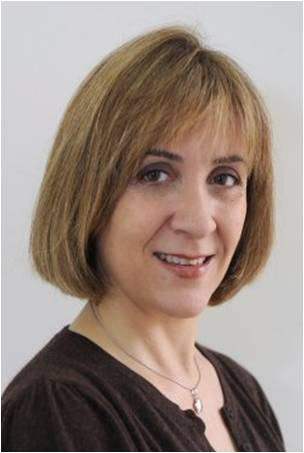 Inmaculada Martínez is author and/or editor of 10 books and over 25 papers in refereed international journals, and she has participated with refereed papers in about 40 international conferences and workshops. Los profesionales de la comunicación en el sector de las telecomunicaciones. Murcia, Comisión del Mercado de las Telecomunicaciones y Universidad de Murcia. 2003. 112 pp + CD. ISBN: 84-933254-4-9. Conceptos básicos de Publicidad y Relaciones Públicas. Murcia, DM Ed., 2004. 145 pp. ISBN: 84-8425-362-7. Guía para la Teoría y Técnicas de Relaciones Públicas. Murcia, DM Ed., 2005. 160 pp. ISBN: 84-8425-437-2. "Tecnología y Comunicación: Estrategias para el cambio en un mundo global". With A. Arribas y P. A. Rojo (Eds.) Razón y Palabra, nº 42. México, 2004-2005. La comunciación en el punto de venta. Las estrategias de comunicación en el comercio real y onlie. ESIC, 2005. 267 págs. ISBN: 84-7356-404-9. WWW/ Internet 2006 Vol 1. With Flavia M. Santoro, Pedro Isaías and J.M. Gutiérrez (Eds.) Proceedings of the IADIS Latin American Conference on WWW/Internet, 2006. 487 pages. International Association for the Development of the Information Society. ISBN: 972-8924-20-8. WWW/ Internet 2006 Vol 2. With Flavia M. Santoro, Pedro Isaías and J.M. Gutiérrez (Eds.) Proceedings of the IADIS International Conference on WWW/Internet, 2006. 575 pages. International Association for the Development of the Information Society. ISBN: 972-8924-19-4. « La nueva realidad del merchandising: De la presentación audiovisual a la fidelización ». In Tripodos. Special Issue. Barcelona, Universidad Ramon Llull. 2000. Pp. 525-538. « La solidaridad en el imaginario publicitario. Hacia una humanización de la personalidad empresarial » With P. A. Hellín and C. San Nicolas. In Tripodos. Special Issue. Universitat Ramon Llull, Barcelona, 2000. Pp. 539-545. «La utilización de la violencia en el discurso publicitario». With J. Farfán and Maria Dolores Prieto. In Tripodos. Special Issue. Universitat Ramon Llull, Barcelona, 2000. Pp. 687-703. «La Comunicación crítica en la orientación al cliente». In Marketing & Ventas. Nº 48 (185). Madrid, 2003. Pp 48-58. «Mujer y pubicidad en España: Contradicciones sociales y discursivas ». In Proyecto Internet. Mexico, 2005. URL: www.razonypalabra.org.mx/libros/libros/mujerypublicidad.pdf. « ¿Es la mujer un objeto social imposible?». In Meridian, nº 43, 2005, Pp. 44-47. « Childhood and Violence in Advertising: A Current Perspective». In International Communication Gazette. Nº 3 (68). Pp. 269-287. London, Sage, 2006. « El desarrollo de la telefonía móvil como plataforma mediática ». Hologramática. Revista Académica de la Facultad de Ciencias Sociales. Nº 5, Vol 1. UNZL, 2006. «El proceso de mediatización de la telefonía móvil: de la interacción al consumo cultural». ZER Revista de Estudios de Comunicación. Vol. 11, nº 20. Pp. 319-342. Universidad de País Vasco, 2006. « The Vicarious Self: Media and Individual Experience in the Context of Societal Complexity Reduction ». In Kybernetes. The international journal of cybernetics, systems and management sciences. Vol. 35 nº 3/4. Pp. 567-582. Emerald Journals. MCB University Press. 2006. «Publicidad, violencia e infancia: consideraciones en torno a una pragmática funcional del discurso publicitario en televisión». Global Media Journal en Español. Vol. 3 nº 6. Monterrey, México, 2006. «The Construction of the Mobile Experience: The Role of Advertising Campaigns in the Domestication of Mobile Phone Technologies». Continuum. Journal of Cultural and Media Studies. Vol. 21 nº 2 pp. 137-148. Routledge, 2007. « De la Web Social al Móvil 2.0: el paradigma 2.0 en la comunicación móvil». « Construyendo la cuarta pantalla: Percepciones de los actores productivos del sector de las comunicaciones móviles». In: Telos. Cuadernos de Comunicación e Innovación. Nº 83. Fundación Telefónica, Madrid 2010. «Liquid Digital Selves: Mobile Media Implicit Cultures, Social Relations and Identity Management». In: Encyclopaideia: Journal of Phenomenology and Education. Vol. XIV, num. 28, Pp. 63-88. Bolonia University Press. Bologna, Italy, 2010. «Estereotipos publicitarios y representaciones de género en las redes sociales». In: Comunicar. Revista Iberoamericana de Comunicación y Educación (JCR). nº 41. Pp.:177-186. ISSN 1134-3478, 2012, Málaga, 2013. «Introducción al Paradigma de la Complejidad» En VALOR, J.A. (Coord.). Introducción a la Metodología. Madrid, Visor, 2003. pp. 261-284. «Tecnologías de la Producción Teórica: Guía de Trayectorias Conceptuales para las Ciencias Sociales». En VALOR, J.A. (Coord.). Introducción a la Metodología. Madrid, Visor, 2003. pp. 285 -308. «Tejedores de redes: las nuevas tecnologías, los comunicadores y la construcción del tiempo social». En VV.AA. Cultura, Política y Ciberespacio (CD). Barcelona, RedIris y Observatorio de la Cibersociedad, 2003. «El debate sobre el comunicador digital». En VV.AA. Cultura, Política y Ciberespacio (Libro CD). Barcelona, RedIris y Observatorio de la Cibersociedad, 2003. « La construcción mediática de los usos alimentarios. La imagen del huevo en España (1996-2002)». En GAONA, C. y NAVAS, J. Los modelos alimentarios a debate: la interdisciplinariedad de la alimentación. Murcia, Quaderna Editorial, 2003. pp. 257-281. «El consumo del Otro: Experiencia, mediación tecnológica y cultura». En GONZÁLEZ GALIANA, R., CONTERAS MEDINA, F. y SIERRA CABALLERO, F. (Coords.) Comunicación, Cultura y Migración. Sevilla, Dirección General de Coordinación de Políticas Migratorias. Junta de Andalucía, 2003. pp. 25-54. «Marketing experiencial: las bases económicas, tecnológicas y socioculturales de la globalización de la experiencia mediada ». En SIERRA CABALLERO, F. y MORENO GÁLVEZ, J. (Eds.) Comunicación y desarrollo en la sociedad global de la información. Economía, política y lógicas culturales. Universidad de Sevilla, Instituto Europeo de Comunicación y Desarrollo. 2004. pp. 81-94. « “Insert Coin”: Transformaciones Tecnológicas de la Experiencia Mediada». En GUERRERO, J. (Coord.) Las grietas de la modernidad. Murcia, Quaderna Editorial, 2004. Pp. 105-160. «Epistemología política de la imagen: Perspectivas para el análisis de las experiencias culturales en la cultura de masas contemporánea». En DA SILVA, J; BAIRON, S.; HELLÍN, P. y CUHNA, H. (Coords.) Imágenes de la cultura y cultura de las imágenes. (Libro-DVD). Universidade Aberta. Oporto, 2005. «Evaluación de websites: Aplicación a las Facultades de Comunicación de España» En: López Lita, R. Fernández, F. y Durán (eds): La publicidad local. Servicio de Comunicación y Publicaciones de la Universidad Jaume I. Castellón de la Plana, 2005. Pp: 253-262. «Complejidad, cognición y comunicación: Sobre el contexto epistemológico de la sociocibernética». En MARCUELLO, C. (Comp.) Sociocibernética: Lineamientos de un paradigma. CSIC. Zaragoza, 2006. pp. 81.124. «La influencia de la tecnología en la gestión de la comunicación corporativa». En LÓPEZ LITA, R. Et al. : In Corporate. El auge de la Comunicación Corporativa. Servicio de Comunicación y Publicaciones de la Universidad Jaume I. Castellón de la Plana, 2006. pp. 386-399. «La vivencia como objeto técnico: Hipermodernidad y experiencias culturales ». En BACA, J. (Coords.) Comunicación y Simulacro. Madrid, Biblioteca Nueva, 2007. pp. 63-94. «The Construction of the Mobile Experience: The Role of Advertising Campaigns in the Appropriation of the Mobile Phone Technologies». En GOGGIN, G. (Comp.) Mobile Phone Cultures. London, Routledge, 2007. pp-6-16. «From mobile phones to mobile media: Current developments in mobile phone-based cultural consumption». En GOGGIN, G. & HJORTH, L. (Eds.) Mobile Media. University of Sydney, Australia. 2007. Pp.47-57. «The Fourth Screen and the Liquid Medium: Notes for a Characterization of the Media Cultures Implicit in Mobile Entertainment Contents». En HARTMANN, M., HOFLICH, J. & ROSSLER, P. (Eds.) After the Mobile Phone? Social Changes and the Development of Mobile Communication. Frank&Time, Alemania. 2008. pp- 69-84. «Massmediatizing Mobile Phones: Content Development, Professional Convergence and Consumption Practices». En AZRAN, T. & CASPI, D. (Eds.) New Media and Innovative Technologies. Ben Gurion University Press, Israel. 2008. pp. 211-239. «Complejidad y pensamiento sistémico: Pasos hacia una ecología de la observación». En CONTRERAS, F. (Ed.) Cultura Verde. Junta de Andalucía. 2008. pp. 155-172. «Comunicación móvil». En Durán, J. Y Sánchez, L. (Eds.) Industrias de la Comunicación Audiovisual. Publicaciones de la Universidad de Barcelona. 2008. pp. 299-332. «Time-Space Substitution and the Colonization of Alter-Ego Interpenetrations: The Role of Mobility and Personalization in the Management of Social Complexity Through Cultural Consumption». En Aguado, J.M., Scott, B. Y Buchinger, E. (Eds.) Technology and Social Complexity. EDITUM. Murcia, 2009. pp. 325-348. «Experiencia, identidad y transparencia: la auto-simulación como horizonte». En López Gómez, A.M. (Coord.) Estrategias de la transparencia. Imposturas de la comunicación mediática. Universidad de Santiago de Compostela. 2009. pp. 81-117. «Convergencia y nuevas rutinas profesionales: Luces y Sombras del Periodista Polivalente». En López Xosé, y Pereira, Xosé (Coords.) Convergencia Digital: Reconfiguración de los Medios de Comunicación en España. Universidad de Santiago de Compostela. 2010. pp. 129-148. «Cinco Días y Cincodías.com: Un caso de convergencia incipiente en la prensa económica». En López Xosé, y Pereira, Xosé (Coords.) Convergencia Digital: Reconfiguración de los Medios de Comunicación en España. Universidad de Santiago de Compostela. 2010. pp. 259-268. «Sistema de Medios y Gestión de la Identidad: Notas para una Revisión de la Perspectiva Sistémica en Comunicación de Masas». En Abril, G. (2010) El Cuarto Bios: Estudios sobre Comunicación e Información. Universidad Complutense de Madrid. 2010. pp. 33-54. «Contenidos informativos en la plataforma móvil: horizontes y desafíos». En Cabrera, M. A. (2010) Evolución tecnológica y cibermedios. Comunicación Social Ediciones y Publicaciones, Zamora/Sevilla, 2010. pp. 129-146. «La comunicación nómada: Consideraciones críticas en torno a la movilidad». En Fernández Vicente, A. (2010) Nomadismos contemporáneos: Formas tecnoculturales de la globalización. EDITUM, Universidad de Murcia, Murcia, 2010. pp. 97-124. «Feeding digital omnivores: The impact of mobile media in digital entertainment». En Goggin, G. & Hjorth, L.. (2014) Companion to Mobile Media. New York, London, Sydney, Routledge, pp. 181-194.